Deepika Padukone and Ranveer Singh made us believe in epic love stories when they got married on November 14, 2018. Recently, the couple attended Zee Cine Awards 2019, and what happened on the stage will make you laugh out loud. Deepika and Ranveer took pheras on the stage and orchestrating it all were Vicky Kaushal and Kartik Aaryan. But, what made Deepika annoyed was Vicky calling her ‘bhabhi’ ‘bhabhi’. 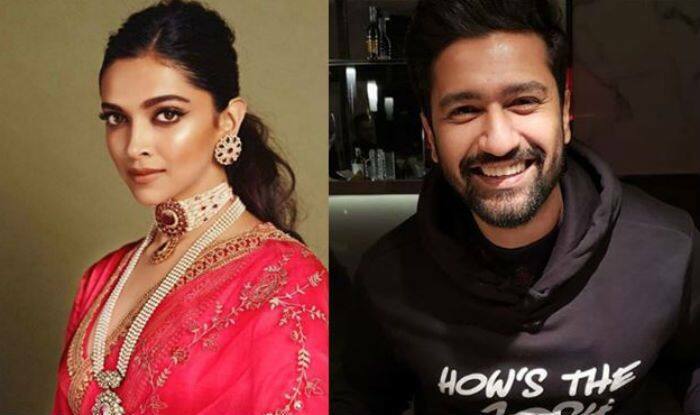 According to DNA, Vicky Kaushal kept calling Deepika his ‘bhabhi’, which left her annoyed. She told him not to call her that but Vicky continued teasing her, which made the audience laughing at their joke. Ranveer Singh also won the Viewers Choice Award for the Best Actor for his role as Alauddin Khilji in the movie Padmaavat which has been released in the year 2018. The film was directed by Sanjay Leela Bhansali. Whereas, Deepika won the Best Actress award for Padmaavat at the Zee Cine Awards 2019. On the professional front, Deepika will be next seen in Meghna Gulzar’s directorial Chhapaak. Deepika plays the role of an acid attack survivor and the story is inspired by a real-life survivor named Laxmi. The film also stars Vikrant Massey in an important role.